GUWAHATI (Assam), Aug 11: Union IT Minister Ravi Shankar Prasad and Arunachal Pradesh Deputy Chief Minister Chowna Mein jointly launched the Arunachal instance of MyGov portal and the NIC’s S3WaaS website during the launch ceremony of ‘Digital North East: Vision 2022’ here on Saturday. With this, Arunachal Pradesh has become one of the pioneer states in the northeastern region to launch the MyGov state instance. MyGov Arunachal is a unique platform for citizen participation and engagement, implemented by the state’s IT & communications department in collaboration with the Centre’s MyGov team. The portal can be accessed at https://arunachal.mygov.in. Union Minister Ravi Shankar Prasad in his speech announced to provide budgetary support to the Arunachal Pradesh government for implementation of free space optical communication technology in Yupia, in Papum Pare district, as a pilot project. The state data centre and the state wide area network would be established and funded by the Centre under the project. Speaking on the occasion, Mein sought the intervention of the union telecom department for timely implementation of telecom projects in the state to ensure smooth rollout of IT and e-governance initiatives. Enumerating the achievements and progress made by the state in the field of digital activities, the DCM informed the union minister that the Arunachal Pradesh government has identified the location for setting up the NIELIT Itanagar centre. He emphasized on continued support from the stakeholders in the state’s ambitious effort to realize the dream of ‘Digital Arunachal’. Mein exuded hope that the launching of the ‘Vision Document for Digital North East 2022’ would bring in accelerated implementation of various initiatives under the ‘Digital India’ programmes in the region. 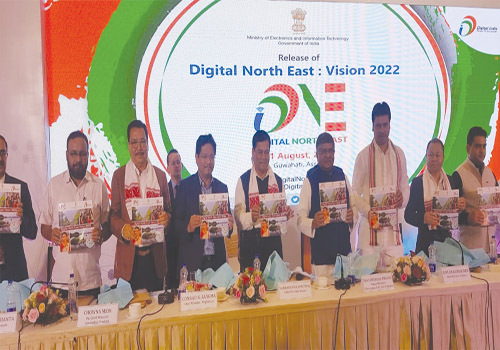 Earlier, unveiling the plans under the ‘Digital North East: Vision 2022’, Prasad said the document emphasises leveraging digital technologies to transform lives of people of the Northeast and enhance the ease of living. He said a cloud hub for Northeast will be created in Guwahati and capacity building for 50,000 government staff will be taken up in using digital technologies, including goods & services tax and payment platforms. The number of seats planned for BPOs in the northeastern states will be doubled to 10,000 from 5,000, while the network of common service centres will be expanded to cover all villages, Prasad said. The document said high speed broadband connectivity in all the uncovered villages in the NE region shall be provided. The document identifies eight digital thrust areas – digital infrastructure, digital services, digital empowerment, promotion of electronics manufacturing, promotion of IT and IT enabled services including BPOs, digital payments, innovation & startups, and cyber security. The Vision Document aims to empower the people of the NE region and state-wise roadmaps have been developed for implementing digital initiatives. 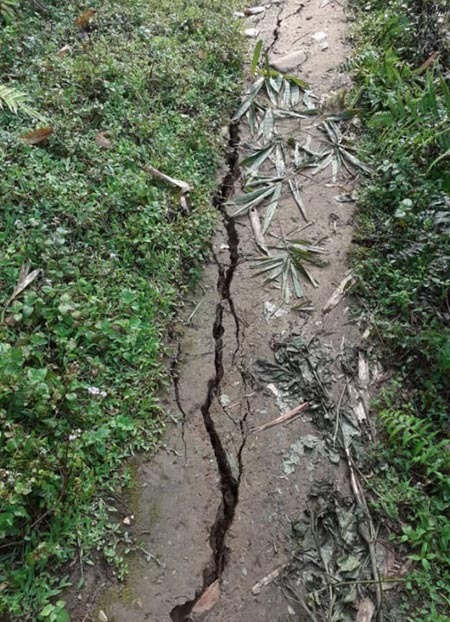 The document was released in the presence of chief ministers of Assam, Meghalaya and Tripura along with senior government officials. Coinciding with the unveiling of the Vision Document, several other projects were launched for the NE states.